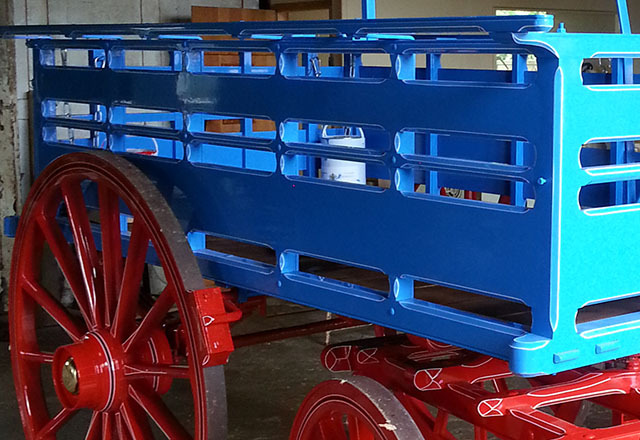 We can produce or restore any kind of horsedrawn vehicle at our workshop. Our back catalogue includes everything from road coaches and state vehicles and goes right through to farm wagons and handcarts. No repair is too small or too big and we are happy to advise on any horsdrawn vehicle. All processes are carried out in house in our purpose built shop. These vehicles are produced to meet modern standards and are designed for modern road use. All our vehicles are bespoke and we don’t have a stock range. 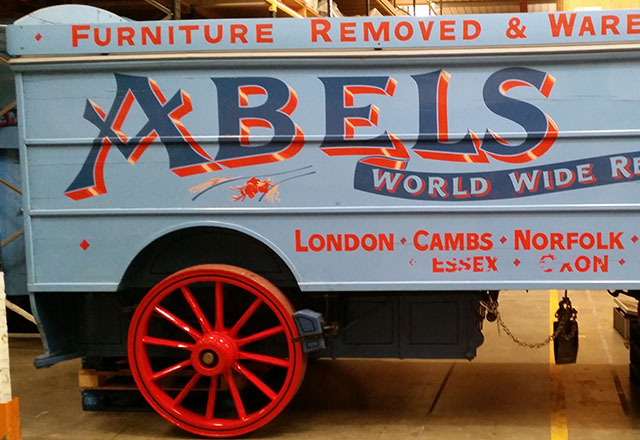 We sometimes have restored vehicles for sale – please contact us for our up to date list. Mike Rowland started his business in 1964 and is a Master Wheelwright. He works with his son Greg Rowland who is also a Master Wheelwright and our newly qualified Journeyman George Richards. With over 80 years experience in the trade between us, working from our purpose built workshops we are well prepared to restore or make any kind of wooden wheel. 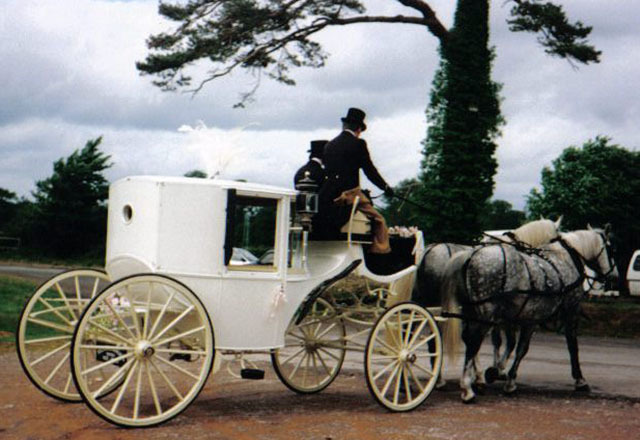 We also have made or restored countless horsedrawn vehicles and we can offer a complete restoration or repair service for any vehicle. We are specialist military wheel and cannon restorers and have restored many wooden gun carriages to their former glory. We produce on average 200 wheels per year. No project is too big or too small, we are happy to take a look at your repair or restoration and we will gladly advise the best course of action. You can call us on 01297 552562, or e-mail us by filling out the form below.